Maureen has 33 years experience teaching Nursing at both the Ottawa Civic Hospital School of Nursing and Algonquin College Nursing Program. 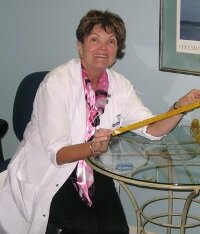 Following her retirement from teaching, she joined the clinic in 2004. Maureen has a Bachelor of Science of Nursing Education and a Masters of Education in Counselling from the University of Ottawa and is a graduate of the Ottawa Civic Hospital School of Nursing. In addition to her role as counsellor, she is also a tremendous asset to the team in developing new motivational tools and incorporating Cognitive Therapy techniques. Kate has been a part of Dr. Bishop’s team since October 2010. Originally from New Zealand, she has a Bachelor of Arts in Classical Studies from Victoria University of Wellington and a strong background in office administration. Kate is very conscientious about the importance of good nutrition and daily activity. She can often be overheard talking about healthy recipes that she has tried, and has completed the half and full marathon in the Ottawa Race Weekend. Kate has a sound knowledge of our philosophy and all of our programs, and is always willing to listen and offer advice. Julie joined Dr. Bishop’s team in January 2013. She is a graduate of Algonquin College’s Interior Design program and has worked as a part time fitness instructor. Julie’s experience working with people in a variety of settings, enables her to empathize and make patients feel at ease, whether coming in for a weekly appointment or visiting our office for the first time. 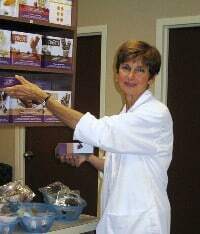 Wendy has worked with Dr. Bishop for more than 25 years and helped with the initial set up of the weight management program. She is a graduate of Victoria Hospital School of Nursing in London, Ontario and obtained her Bachelor of Science of Nursing and Masters of Education in Organizational Studies from the University of Ottawa. As former President of the Ontario Family Practice Nurses Association, she holds strong beliefs in the teaching role of nurses within the office setting. She counsels patients on wellness and prevention, and provides practical ideas for everyday living. She is dedicated to working with clients to help them achieve their goals.